Fits umbrella stands and tables. Unsteady and turns in wind. Weak aluminum can fail and snap. 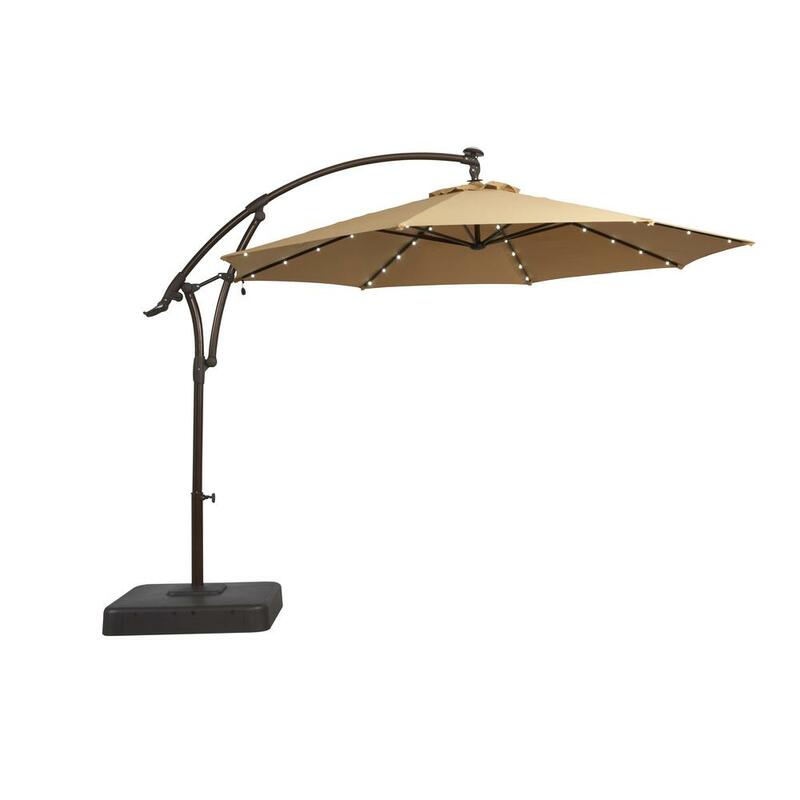 This is the summary of consumer reviews for Hampton Bay 10 ft. x 6 ft. Aluminum Patio Umbrella in Chili with Push-Button Tilt. 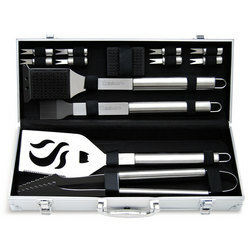 The BoolPool rating for this product is Very Good, with 4.20 stars, and the price range is $99.00-$188.00. 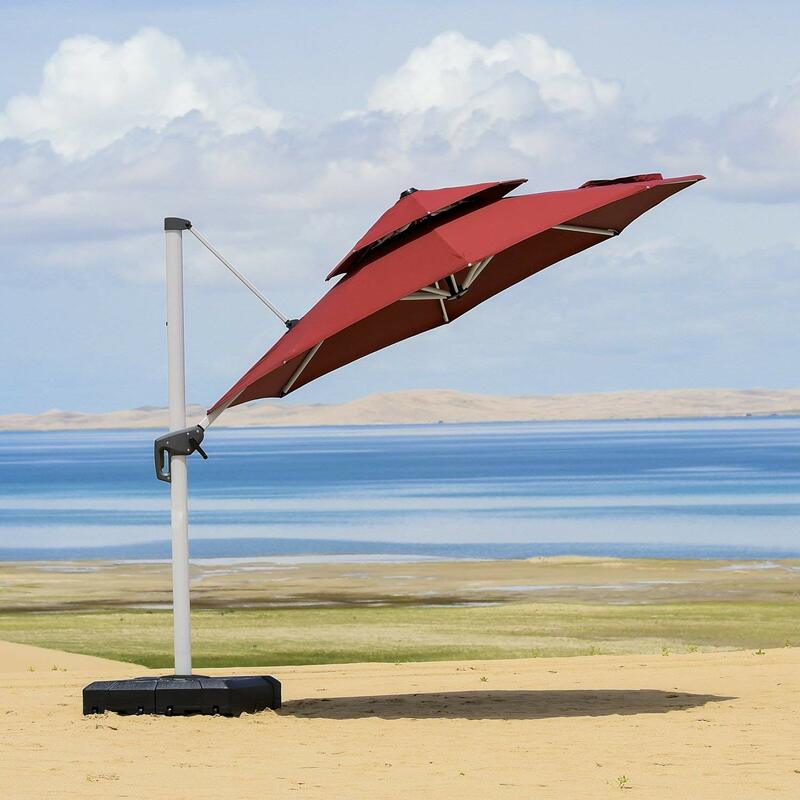 The Hampton Bay 10 ft. x 6 ft. Aluminum Patio Umbrella in Chili with Push-Button is rectangular, made with protective weather resistant fabric, comes in a vibrant chili red color, and can be set up in either an umbrella stand or table. The umbrella has push-button tilt and opens and closes with a crank mechanism. There are concerns, however, with its stability in more than average wind speeds. 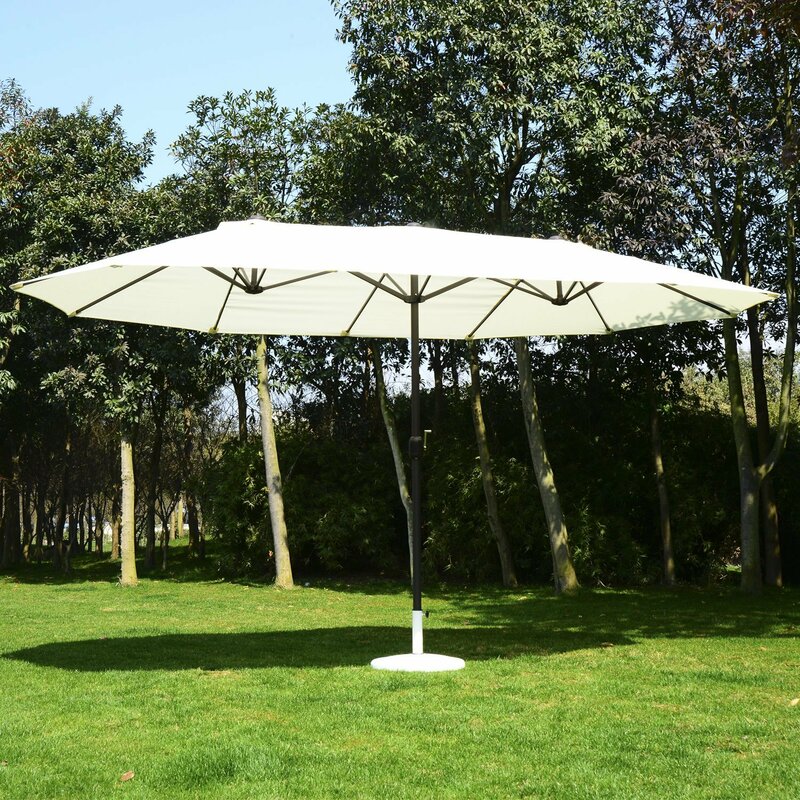 The umbrella’s aluminum construction might not be adequate to compensate for its weight and the large surface area of its canopy and causes the umbrella to turn. Attitudes on its value are a concern for customers. Raises, tilts ,and rotates easily with wide coverage. Easy to assemble, but be warned, the base is 110 lbs/50kgs. The umbrella is a good size and works well to shade my small couch. We're very happy with the quality as well as the nice coverage it provides. Assembly was easy and quick. Raises, tilts and rotates easily with wide coverage. Umbrella works good and certainly meets our expectations so far. We got it assembled and covered it up for the winter. It's a large umbrella and provides wonderful shade on our sunny deck. The sturdy fabric stands great against rain and wind and blocks the sun for a comfortable shaded space that's very inviting. Only Con is because its so big that the least little wind moves the umbrella crooked while in the table in a stand. The tilt action works very well. Nice looking and seemsto be made well. The rectangular shape is perfect for our table, which we also purchased from Home Depot. Overall, It seems good so far. Overall It seems good so far. Very stable, looks, opens, closes as it should. My only complaint is the fabric seems a decent amount thinner than my old one. Have only had it outside for a week, but seems like a very good value for the money. Open the cloth case and make sure the bottom pole snaps into the upper umbrella pole. A little more expensive than some, but seems to be worth the money. It was a nice size for our table. Looks great and functions well. Nice umbrella fits nicely with the rectangle set we bought. 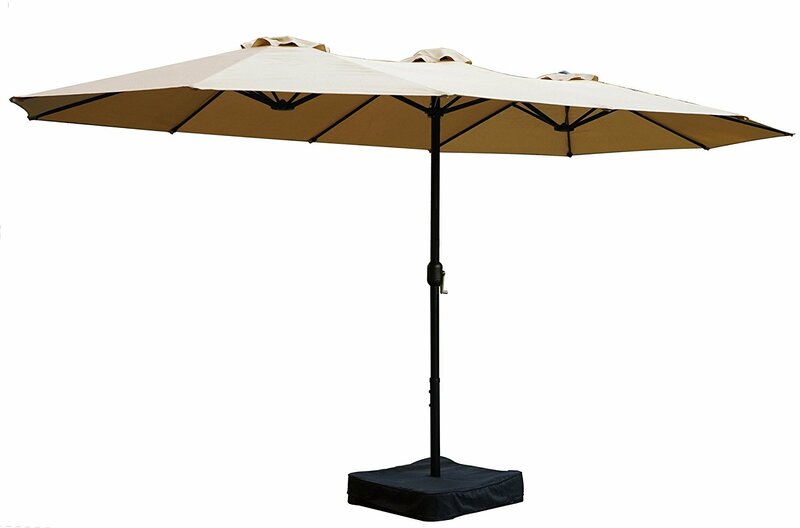 We're very happy with this umbrella and the rectangular shape fits our table perfectly. We've been very happy with all products from Home Depot. Seems like it's built well. Given the price I expected a quality product. The quality was very bad. Within 2 weeks of purchase, lower half of umbrella pole bent to roughly 45 degree angle, causing glass table and umbrella to fall over. The crank functions well and is easy to raise and lower with little effort. We thought it just moved, but then we noticed the lower pole bent. I highly recommend this product with a good solid base. New one seems to be working well. The bent/dent wasn't little it was a big one and we were shock because the wind was very mild. That was it for us, we realized the quality of the pole was low and if this's the case the value of $160 is too high as well. Highly reccommend (if you buy heavy stand). The material was good quality. This umbrella is holding up well, gives good shade and protection from the sun. Haven't had open in heavy winds of So Cal yet, so can't say for certainty that this's great product...But looks great!. I'd to drill a 1/4" hole through the coupling to hold the umbrella from turning when the wind blows and installed a clevis pin. It does, however, have to be taken down in high winds as with most large umbrellas. fast shipping, product seems to be of good quaility. This umbrella pole bent like a cheap spoon and, in another spot, snapped when the umbrella hit the table as it went down. The umbrella is big, beautiful and well made. Nice and big, good quality. Arrived within the stated time. Aluminum too weak to sustain such a large umbrella with some wind. I'd look into a better brand or go to a patio store to feel the differences of the fabric before purchasing another Hampton Bay umbrella. This's a low cost umbrella so I didn't expect a lot. This umbrella pole bent like a cheap spoon, and in another spot apparently snapped when the umbrella hit the table as it went down. The tilt mechanism is at the top where the pole meets the fabric, ridiculous! Sturdy and good quality. Color and fabric is great. 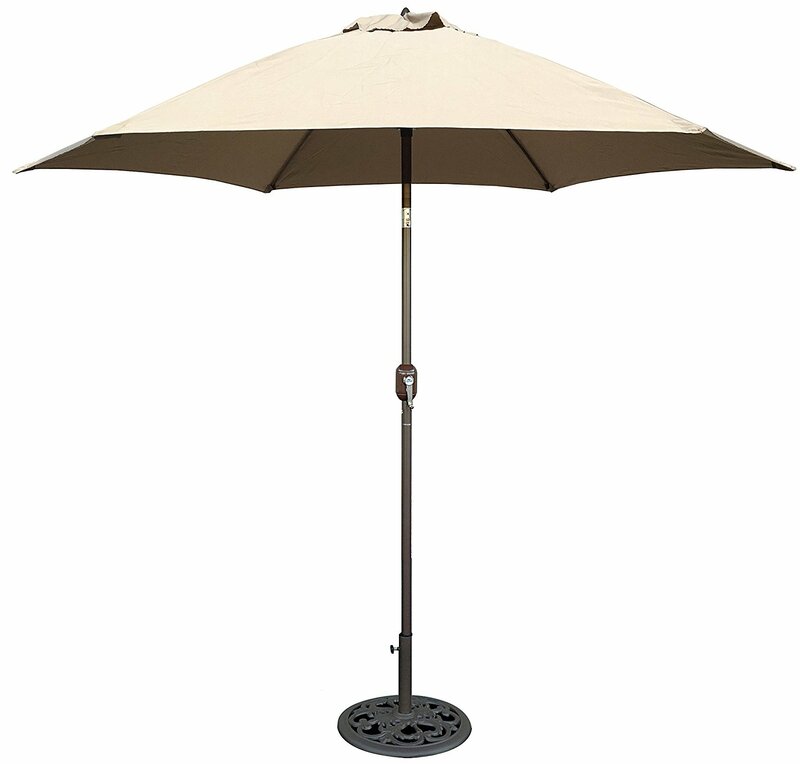 Very nice umbrella nice color doesn't come with base as seen in pictures love rectangular shape which matches the table. 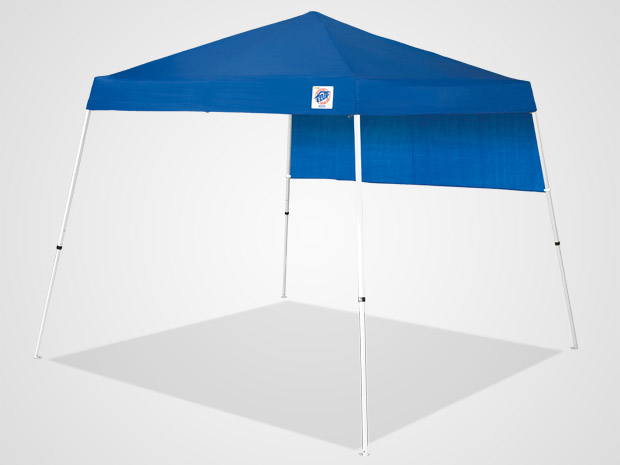 Product sturdy, good quality, perfect size/shape to cover our patio table, and the color is a beautiful blue. The color and perfect size for my deck. Exactly what we were looking for, sized to fit our table and the color perfectly matches our chairs and outdoor rug. 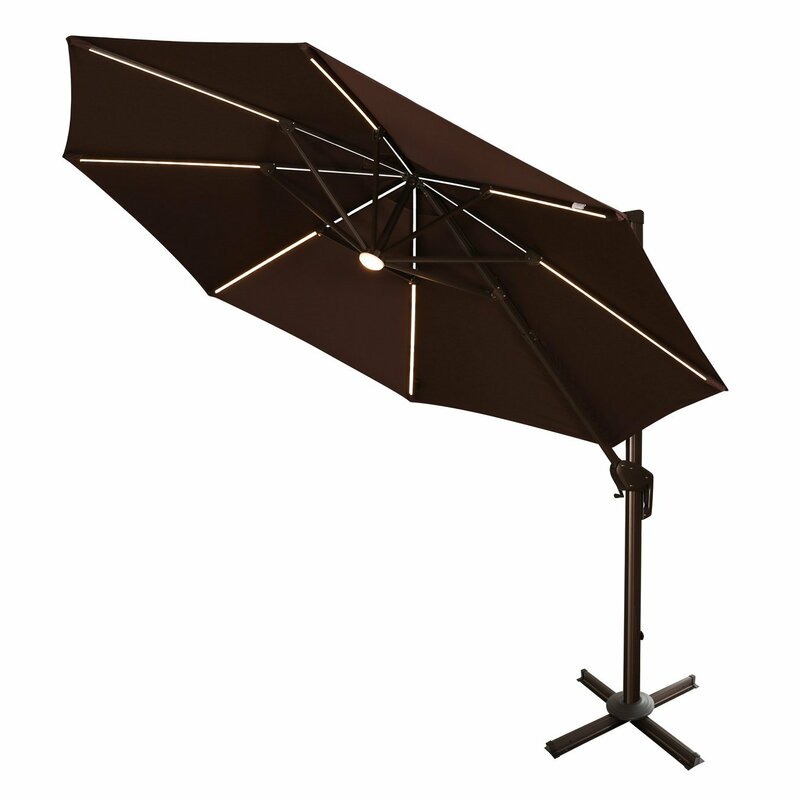 I searched high and low for a deep red colored patio table umbrella! The color matched the cushions perfectly too!. Color and fabric is great. Good quality and color was as pictured. Expensive for blue color ($159) but matches boat nicely and paid for itself with the shade relief! I love the size, it fits well with our larger table.